The Personalized Vegan Leather Clutch is made of durable vegan leather. This chic clutch is perfect for a night out or a day of running errands. With secured zippered top is the perfect size for all your day-to-day necessities. 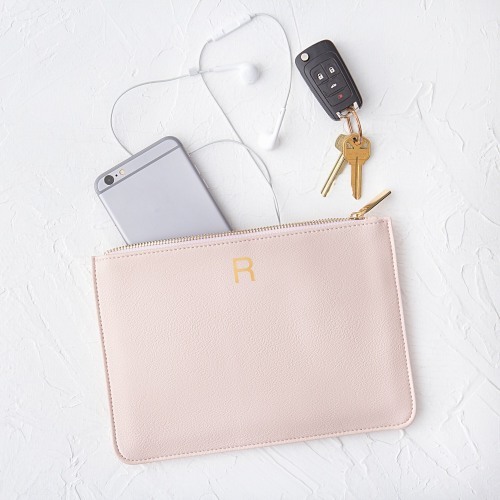 Keep this chic clutch for yourself or gift it to a friend -- available in blush pink, grey and white, make this your own by adding a gold embossed monogram.